April 20, 2012 - Gulfstream Aerospace Corp., in conjunction with Women in Corporate Aviation, will award two $5,000 scholarships for professional development or career advancement in the field of maintenance aviation technology. The award winners will be considered for future co-op and internship positions with Gulfstream, a corporate member of Women in Corporate Aviation. Gulfstream Aerospace Corporation, a wholly owned subsidiary of General Dynamics designs, develops, manufactures, markets, services and supports the world?s most technologically advanced business-jet aircraft. ?Gulfstream has a number of initiatives in place to ensure a steady supply of skilled workers so we can continue to provide our operators with the best service possible,? said Mark Burns, president, Gulfstream Product Support. ?This is an investment in our future and the future of the business-aviation industry.? The scholarships will be administered by Women in Corporate Aviation and are open to anyone pursuing a career in aviation maintenance, enrolled in an aviation maintenance technician program or avionics training program, or seeking a degree in aviation maintenance technology. Those interested in applying for a scholarship should contact Women in Corporate Aviation, 4450 Nicholas Lane, Southhaven, Miss. 38672. The deadline for applications is Sept. 30, 2012. Applicants will be considered based on their personal accomplishments, community involvement, academic standing and career goals. Applicants must be 18 or older, a U.S. citizen or permanent resident, and have a high school diploma or GED. In addition, applicants must submit a 500- to 1,000-word essay detailing how this scholarship will benefit their education or career path. Scholarship winners are required to use their award toward a specific aviation maintenance program, including airframe and powerplant certification, college-level aviation maintenance courses or avionics technician certification. The Gulfstream scholarships were announced during the 23rd annual International Women in Aviation Conference, March 8-10 in Dallas. The winners will be announced during the National Business Aviation Association Meeting and Convention, Oct. 30-Nov. 1 in Orlando, Florida. 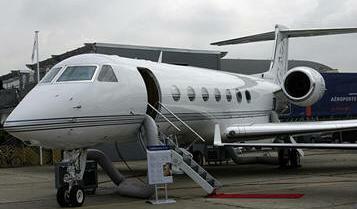 Gulfstream has produced more than 2,000 aircraft for customers around the world since 1958. Gulfstream offers a comprehensive fleet of aircraft, comprising the wide-cabin, high-speed Gulfstream G150; the new large-cabin, mid-range Gulfstream G280; the large-cabin, mid-range Gulfstream G350; the large-cabin, long-range Gulfstream G450; the large-cabin, ultra-long-range Gulfstream G500; the large-cabin, ultra-long-range Gulfstream G550 and the ultra-large-cabin, ultra-long-range G650.